To apply, a child must be three years old on or before September 30 of the year they expect to enter UMS. The application process begins with a scheduled meeting between the prospective parents and the director of the school. Ideally, both parents should attend the meeting, which includes time to discuss the program and observe in both classrooms. Parents who wish to enroll their child should complete an Enrollment Application and submit it to our office with the $35 application fee. The director will consider your application once it is complete. 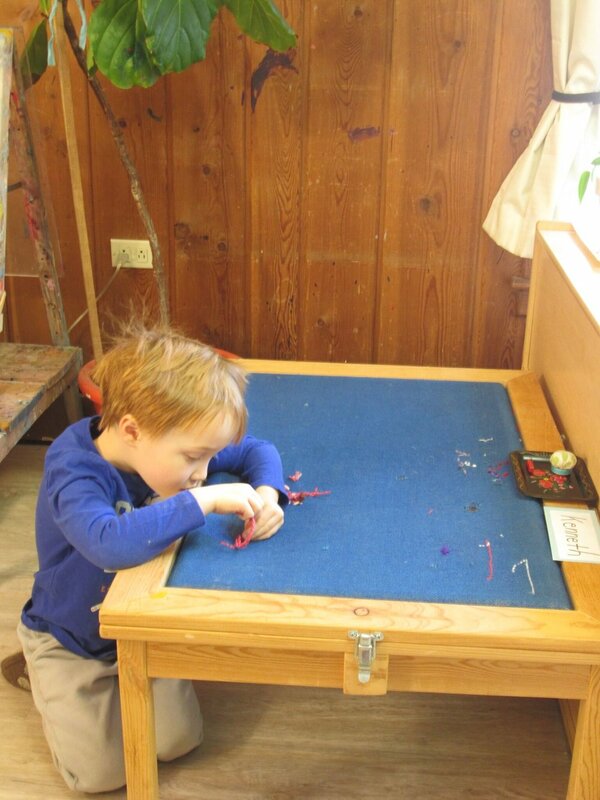 Parents can call the director to schedule a visit, or email heather@universitymontessori.org. Visits are usually scheduled for 9:30 AM Monday through Thursday and last about an hour. A typical visit will include observations in both classrooms and a meeting with the director to discuss what parents are looking for and how UMS might meet their child’s needs. How are admissions decisions made? During the admissions process, the director’s goal is to create diverse learning communities that are balanced by age and gender. The director will also consider whether a child is likely to thrive in a Montessori classroom and the length of day their parent’s requested. Siblings of children who are currently enrolled or have completed kindergarten at UMS receive priority enrollment. What is the best time of year to schedule a visit? While most parents visit between October and March of the year their child is eligible, visits can be scheduled any time except September (except in the case of an unfilled slot). What should I expect in a visit? Parents meet with the director to talk about their child and what they are looking for in a school setting. The director will describe the program and answer any questions. Parents may observe in each classroom, one parent at a time in each room, and the director is available for follow-up questions after the observations. What if I am applying from out of state or out of the country and cannot schedule a visit to the school? Although visits are an important part of the admissions process, the meeting with the director can be conducted by telephone or email in special circumstances. After I submit an application, when can I expect to hear if my child will be offered a placement? Re-enrollment contracts for currently enrolled children are due February 1. New families will begin to receive enrollment offers after February 1, and the director will continue to make offers until a balanced community of learners is in place. Does UMS offer financial aid? UMS makes every effort to assist families who wish to attend but are unable to pay the full tuition. Please visit our financial assistance page for more information on the application process. UMS does not discriminate on the basis of race, religion, sexual orientation, gender identification, or national ethnic origin.